In the course of the Millenium drought (2002-2009), the Labor Government spent $7b on a water grid & water purification & recycling infrastructure. This infrastructure included the Bundamba Advanced Water Treatment Plant, designed to produce "Purified Recycled" Water from tertiary treated sewage effluent. Currently, the Bundamba Advanced Water Treatment Plant provides a little bit of water to local industry, Swanbank Power Station and Springfield township. During the Drought it also supplied water to Tarong Power Station. Since 2011, Tarong has water to spare from its own catchment. Neither the ALP or the LNP have any plans to utilise the idle water recycling infrastructure & stop the Councils or Council owned Utilities from discharging sewage effluent into the Rivers & Moreton Bay. It is cheaper, more environmentally sound & climate friendly to recycle waste water than it is to desalinate sea water. In the process of recycling water, one could recover the nutrients (Nitrogen, Phosphorus, Potassium, etc....) that are currently polluting the waterways. These nutrients could be used beneficially in agriculture. In the light of this, let us have a closer look at the Liberal National Party's Water Policy. The LNP claim that Queenslanders are facing spiraling costs of living and family budgets are under severe strain because Labor can't get the basics right. The LNP Claim that there is no forward planning, Perhaps they have not read the South East Qld Water Strategy ....or perhaps they have, since the LNP Strategy looks very similar. The South East Queensland Water Strategy was released on 15 July 2010. The Strategy is a long-term blueprint for ensuring a sustainable, efficient and secure water supply for South East Queensland (SEQ) into the future. Granted there were some panic decisions by the Qld State Labor Government caused the South East Queensland Water Grid to be undertaken without adequate planning. To be fair much of the planning for the Western Corridor water recycling scheme was undertaken by Ipswich Water and adopted by the State Government in a knee jerk response to 7 years of consecutive drought. This led to the a $7 billion price tag for the Water Grid....At least $600 million was wasted on the failed Traveston Crossing Dam (there is no argument with that). The $1.1 billion for the Tugun desalination plant was probably money well spent. Desalination is an expensive option but it does provide SEQ with a level of water security that a dam cannot ensure. All other capital cities have gone for similar options. Another $350 million Wyaralong Dam is not connected to the water grid. There is no basis for the LNP's claim that South-East Queensland water bills are set to double over the next seven years. Prices have been capped to a maximum rise linked to the Consumer Price Index. In fact: In the last 18 months, Queensland Urban Utilities reduced prices in four of their five service territories and improved network performance. 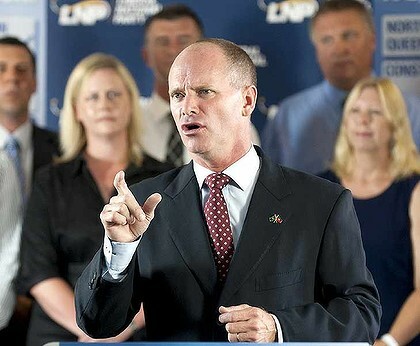 Under pressure from the LNP & Gold Coast City Council, Labor allowed Gold Coast City to have its water retail & distribution business separated from Allconnex (Discinnex? ), leaving Redlands & Logan to go it alone as well. * Increasing efficiency in water delivery from the grid to the household, while maintaining a responsible approach to water use and waste. Making Target 200 SEQ's voluntary residential water use target. Ensuring business and industry consider water efficiency as part of good business practices. Investigating potential bulk water supply options and new technologies relating to water supply sources to ensure the best decisions are made in the future. Preparing a drought response plan for SEQ to identify what needs to happen in the lead up to, during and after any future drought in the region. Reporting on the implementation of the Strategy annually, including a review of the fundamental planning assumptions such as climate and weather impacts, population growth and community water use. Operating the SEQ Water Grid cost effectively and efficiently. Keeping climate-resilient sources on standby so more can be taken from dams in times of plenty, knowing back-up supplies are available when needed. 4. Adopt a 40 year price path to repay the Bligh Government's $7 billion water grid debt over the economic life of the assets, which will also reduce the cost of water (just postpones the inevitable costs to future generations, as a political expedience). None of the above will have significant impacts on the bulk cost of water or retail price of water.